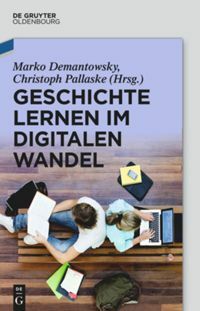 Marko Demantowsky, PhD (*1970), is professor for modern history and history education at at the School of Education FHNW (Departement for Social Sciences Education) and a member of the Institute for Educational Sciences at the University of Basel. He previously worked as assistant professor for history education at the University of Bochum (07-12) and as visiting professor at Jena University (07-08) and Siegen University (06/07). His main research interests focus on the Digital Change particularly in Public History, the informal learning and history related beliefs, and the theory and history of History Education. He has created and developed, and now co-manages some multilingual infrastructures in the field of digital history: The Index Didacticorum, The Public History Weekly, The GTS7000. Marko Demantowsky, Dr. phil. 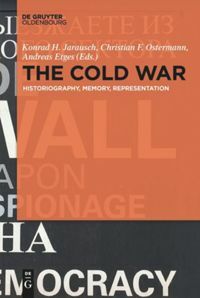 (*1970), Professor für Neuere/Neueste Geschichte und ihre Didaktik an der Pädagogischen Hochschule FHNW (Leiter der Professur für Didaktik der Gesellschaftswissenschaften und ihre Disziplinen) und Mitglied des Instituts für Bildungswissenschaften der Universität Basel. Zuvor war er als Juniorprofessor für Didaktik der Geschichte an den Ruhr-Universität Bochum (07-12) sowie als Vertretungsprofessor an den Universitäten Jena (07-08) und Siegen (06/07) tätig. Seine Forschungsschwerpunkte: der Digitale Wandel, insbesondere in der Public History, das informelle Lernen, die geschichtsbezogenen Beliefs sowie die Theorie und Geschichte der historischen Bildung. 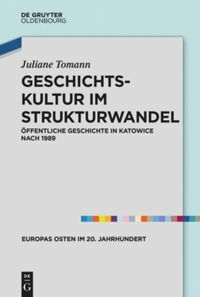 Begründung, Entwicklung und Management von mehrsprachigen Infrastrukturen im Bereich der digitalen Geschichte: Der Index Didacticorum, Public History Weekly, Der Geschichtstalk im Super7000 (GTS7000). In recent years, public history scandals have repeatedly occurred in the German Armed Forces. These scandals consisted of the fact that young men were actively referring to the traditions and symbols of the National Socialist Wehrmacht. A journal that--all things considered--absolutely cannot earn money? A renowned publishing company that becomes involved as a partner in such an undertaking? A Tower of Babel that aids communication? Transdisciplinarity that was not created by a "predatory community"? “Weird History,” [Verrückte Geschichte] otherwise known as “Dr. Guido Knapp,” is a pseudonymous German-speaking Twitter account. Launched only a few years ago, the account has been presenting history-related knowledge and surprising historical facts to wide acclaim, with great public reach, and in a highly amusing fashion. “Public History” – Sublation of a German Debate? “Public History” – Aufhebung einer deutschsprachigen Debatte?